The EU ETS, a major pillar of EU climate change policy, commenced in January 2005. It is based on Directive 2003/87/EC. 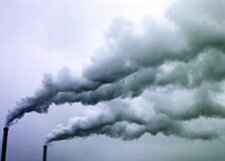 Under the EU ETS, large emitters of carbon dioxide within the EU must monitor and annually report their CO2 emissions. They are obliged to submit to the government an amount of emission allowances that is equivalent to their CO2 emissions in that year. Companies in various industries need to determine the biomass fractions of their CO2 emissions because carbon-neutral CO2 can be subtracted from their greenhouse gas inventories. Phase 1 of the EU ETS was released in January 2005, while Phase 2 started in 2008. The EU ETS is now in its third phase, which runs from 2013 to 2020. Guidelines for the monitoring and reporting of greenhouse gas emissions were first released in January 2004 (MRG 2004). The revised guidelines were established in July 2007 (MRG 2007). And in January 2008, the European Commission (EC) proposed a number of changes to the scheme. In October 2012, the EC published a Guidance Document relating to biomass issues in the EU ETS. MRR Guidance Document No. 3 states that EN 15440 is the relevant standard for the determination of the fossil and biomass-derived carbon fraction in solid materials and fuels. For liquid samples and CO2 in flue gases, EN 15440’s Carbon-14 method or ASTM D6866 can be used. ISO 13833 is another option for CO2 in flue gases. MRR Guidance Document No. 5, also published in October 2012, explained in more detail the requirements for laboratory analyses. The MRR imposes strict rules to ensure high-quality results. It requires that all analyses should be carried out by laboratories that are accredited to ISO/IEC 17025. Non-accredited laboratories may be used provided that they demonstrate competence equivalent to accreditation in accordance with ISO/IEC 17025. More updates are found in the EU ETS website. CEN, or Comite Europeen de Normalisation (European Committee for Standardization), aims to promote not only Europe’s economy in global trading but also the welfare of its citizens and environment by removing trade barriers for industry and consumers in the continent. The private, non-profit organization has more than 60,000 technical experts and reaches more than 480 million people. CEN develops standards and other technical specifications that become the national standards in each of the organization’s 34 members—the National Standards Bodies of the 28 countries of the European Union, the Former Yugoslav Republic of Macedonia, Serbia and Turkey plus three countries of the European Free Trade Association (Iceland, Norway and Switzerland). As of August 2018, the 34 CEN members are Austria, Belgium, Bulgaria, Croatia, Cyprus, Czech Republic, Denmark, Estonia, Finland, Former Yugoslav Republic of Macedonia, France, Germany, Greece, Hungary, Iceland, Ireland, Italy, Latvia, Lithuania, Luxembourg, Malta, The Netherlands, Norway, Poland, Portugal, Romania, Serbia, Slovakia, Slovenia, Spain, Sweden, Switzerland, Turkey and the United Kingdom. By providing accurate and reliable biogenic fraction measurements, ISO/IEC 17025-accredited Beta Analytic is able to help companies who want to join or are already participating in the EU ETS. Under this cap-and-trade program, companies can obtain carbon credits if they do not emit as much greenhouse gases as the threshold levels established. One way of getting lower GHG inventories is by measuring the biogenic fraction of their solid recovered fuels through EN 15440.